Graco's TableFit Highchair brings your baby right to the table, so he can enjoy meals with your family from the start. 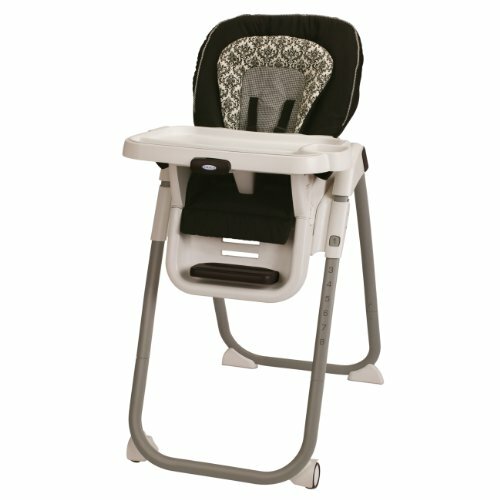 Its unique design allows the highchair to slide right to the table for a perfect fit, and gives you easier access to baby during feedings. And, 8 height positions make positioning for feeding even easier. The one-hand harness adjustment allows you to easily adjust to fit your growing little one, while the wipeable, machine washable seatpad and removable, dishwasher safe tray makes clean-up easy for you. TableFit helps sets the stage for a lifetime of family meals.